This is my first time telling this story, hope you enjoy it. I was sitting about thinking of what to do for the Mrs' birthday, thinking night away no kids sounds good so I got on line and booked a beautiful mansion house. So 28th Feb 2016 we was off to what we thought would be a romantic night away. 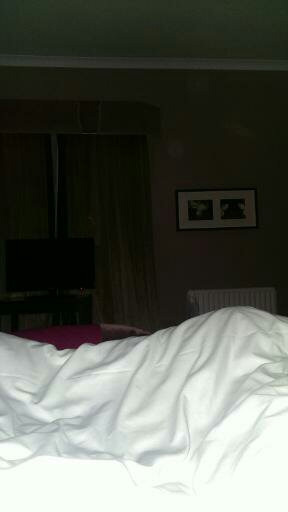 So we checked in and settled down unpacked and got ready for our night out. All was going well until later that night in our room. It was a cold night as it was in Feb, but the room was getting hot. Checking, the heating was not on and just an empty hall below us had me baffled. Then I noticed things were getting moved around the room. Put something in the bin only to find it back on the table, things in the bathroom (used shower gel) back in the bathroom. What got me was there was new mini shampoos and empty ones next to it. You just think at the time cleaner left them. I started to think it was me and ignored it. As it was getting late I snapped a few pics of the room as you do. 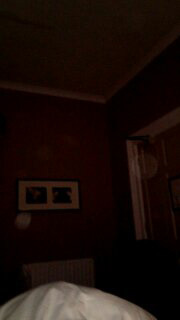 I noticed on the camera screen a ball of light, then I took another same again. I was thinking must be a dusty room. Then I started filming, they was everywhere. The Mrs started feel a bit unwell, drained, loss of energy. Thinking this is strange, I started recording and what come through I did not believe. Lights again but then voices talking in French. And this time it said ma mere which is French for my mother, and then interference in the recording fussing then a voice come through and said something in French again on my and my Mrs' phone caught the voice. It spoke loud like it was speaking into the speaker. The next morning thinking what the hell, we got home and as I do I started research and with that security said they had interference on their radios and the floor above had a couple that saw their clothes moving across the floor and very quickly changed rooms as well. A paranormal team said one of their members got scratched and items were pushed out of people's hands. I still have all pictures and videos but still can't figure out what the French man said. Thank you for reading. The following comments are submitted by users of this site and are not official positions by yourghoststories.com. Please read our guidelines and the previous posts before posting. The author, Gavinwickens, has the following expectation about your feedback: I will participate in the discussion and I need help with what I have experienced. When I researched it our room was 112 on the same floor as the room 107 when people had experiences had items pushed from there hands in the corridor. Hopefully they will put the pictures on soon, as sent them thanks. I live near there! Love it when something local pops up on YGS! AugustaM, Informative! I guess I will follow on to your comments instead of waiting for the pictures to come. Wow! Here is a page describing ghostly encounters at that facility! One in which a woman's discarded clothes are dragged across the floor sounds something like your own experience! One even mentions hearing voices. They list room numbers of known hauntings - I wonder if you unwittingly wound up in one of those rooms! Yes that's the one, I have sent a few pictures through so should be on soon but recordings may take a little longer as I am trying to find a way of sending them over. I am assuming, then that it is the residence in which James I passed away? It's connected with king James 1 you should get it now thanks for the interest and comments. I am assuming this mansion hotel was a private home of some age originally. Would you be willing to provide the name or confirm if we are able to guess it? Knowing the name of the mansion would definitely help in picking through history to shed some light on your French speaking night visitors. 1.) On 16 December 1216, during the First Barons' War, Hertford Castle surrendered after a siege from Dauphin Louis (later Louis VIII of France), whom the English barons had invited to England to replace John as King. 2.) 1299, King Edward I gave Hertford Castle to his wife Margaret of France on her wedding day. 3.) King John II of France was imprisoned [in Hartford Castle] in 1359 in considerable luxury. 4.) King Henry IV married Catherine of France on 2 June 1420, and gave Hertford Castle to her. Of course, after the Norman Invasion, hearing French in England was certainly not uncommon and it remained a regular feature of noble life for quite some time thereafter. Also the references above refer mostly to Hartford Castle, which is not at this time a hotel - however, as many of those French presences at the Castle were of a political nature it seems reasonable to assume that their supporters may have conspired in Hertfordshire's other noble residences. The Black Death ravaged the area in the mid-1300s - certainly that left its lasting scars on the area. I also did a Google search of mansions that have been converted to hotels in the area and my best guesses from that list are: Manor of Groves, Standish Manor and Pendley Manor. Wow! What an encounter! I will be waiting for the pictures then! Hi will be uploading pictures just waiting for a day off work to go through my lap top. Will have them on asap thanks. Gavinwickens - Well you certainly provided your wife with a very different form of entertainment to celebrate her birthday - one she won't forget in a hurry! 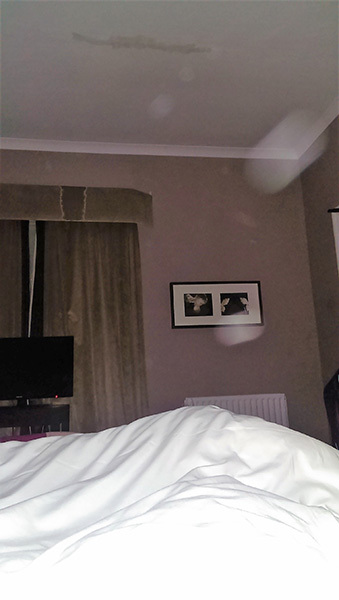 Hotels in general seem to feature high on the list of paranormal activity. So many things must happen behind the scenes regarding former guests and personnel, that perhaps it isn't so surprising. I would love to know what was said on the recordings. Do you perhaps know of anybody who can translate the French for you? "Ma mere" on its own doesn't tell you much. Possibly other members will be able to provide help with your experience. I'm afraid I can't. Events similar to yours, and some of them far more scary, tend to be the order of the day in many hotels, especially the old renovated ones. Upload the videos/pictures? Would be useful so we can figure out what was said! 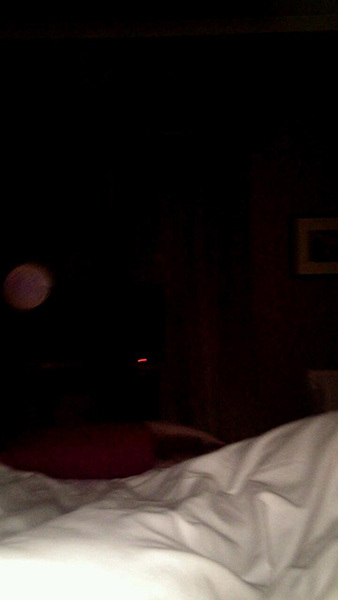 © The ghost story Haunted Hotel Hertfordshire is copyrighted to Gavinwickens. Edited by yourghoststories.com.